There is a new way of viewing wildlife photography that takes it to a whole new level as well as angle! Gone are the days when one takes an SLR camera or heaven forbid a camera that actually takes a film, out into the wilds to capture the elusive wildlife. No need to carry heavy equipment and multiple lenses either. Nowadays there are many different ways to take a picture as people are starting to think outside the box. I was out photographing a salmon spawn on a local river with my digital mirrorless camera. I was playing with the light on the water, the fish jumping, splashing and spawning and feeling pretty good about the shots I was getting. 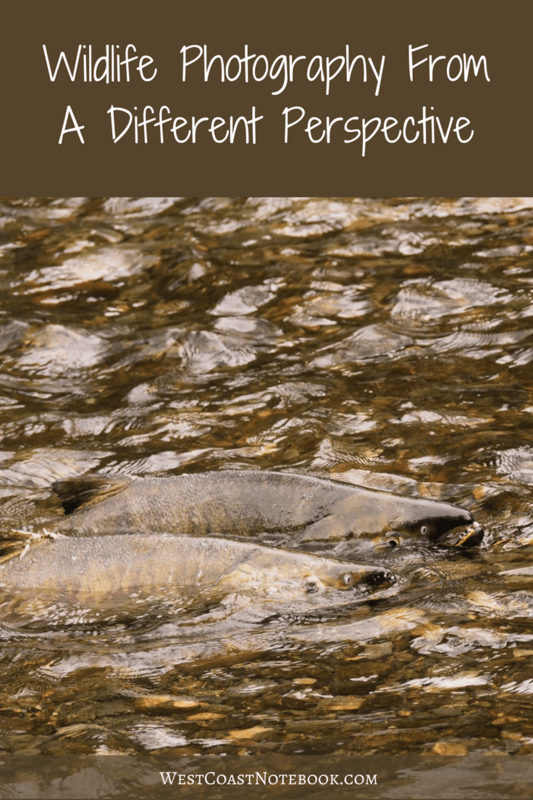 When I finally put my head up from being totally engrossed in my viewing, I saw a young man with his iPhone on a selfie stick hanging out over the water directly above the salmon. I was terribly envious as instead of getting a side shot, he was actually right over the fish looking down on them. I guess I could have walked out into the freezing cold water to get the same effect, but I opted to stay on shore. Further up the river, I came upon an individual with gumboots on (why didn’t I think of that) out in the river. They stooped and picked something up and I thought they were retrieving something they had lost until I realised they had a waterproof gopro camera and were taking underwater pictures. I talked with them for a while as they told me about all the videos and shots they had taken on their holidays as they were visiting from back east. 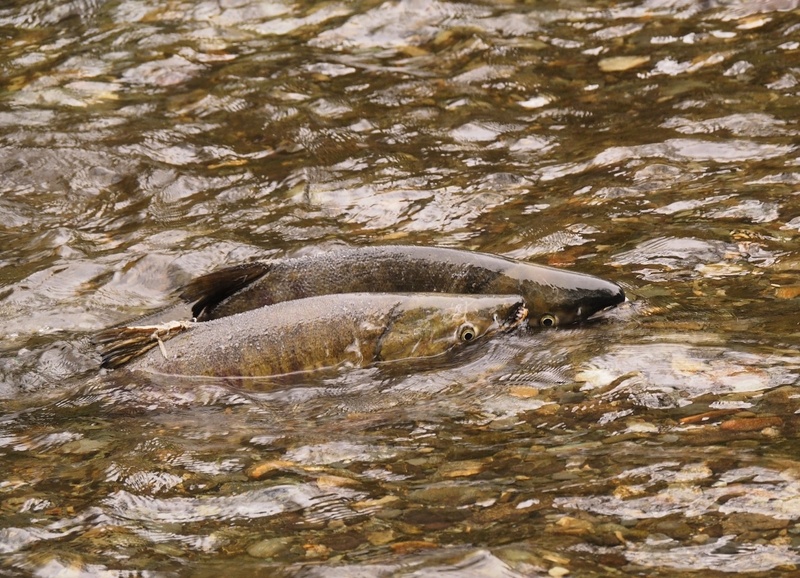 They found it a perfect way to record their trip and the salmon spawn was a highlight for them. From the camera’s perspective and angle, it was just like being in the river with the fish. It’s a matter of taking what you have and make it work for you. Here I was sitting on the bank, taking the same shots that thousands of other people have taken and yet just by thinking a little differently could have come up with a fabulous picture from a different point of view.